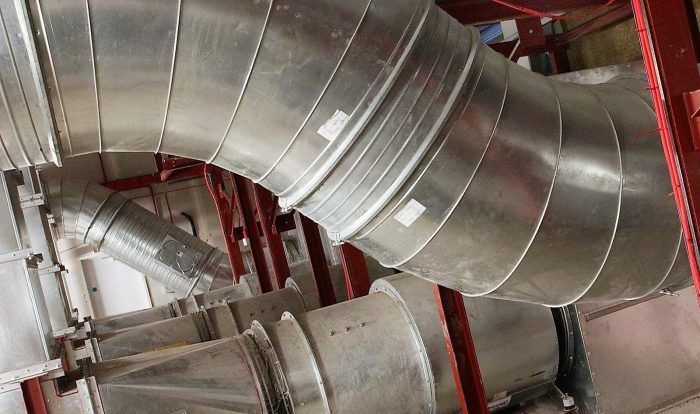 Under everyday operating conditions, the smoke ventilation system works as normal by supplying or extracting air from designated areas. In a fire condition, however, the dampers on the standard system close and automatic dampers on the emergency system open to allow the system to function as either a smoke extract or pressurisation system. 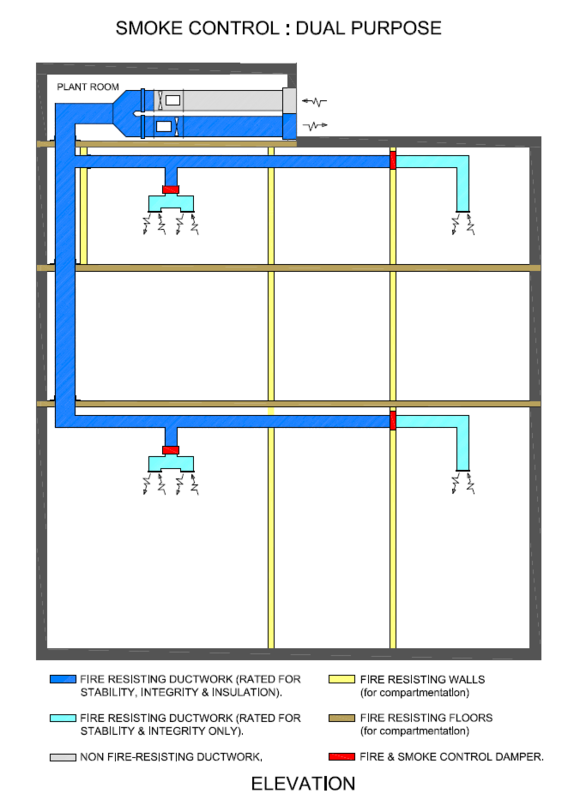 The ductwork must be fire resisting to satisfy the compartmentalisation plan of the building.